Jay Rodriguez scored a controversial late penalty as West Bromwich Albion twice came from behind to earn a draw against fellow-promotion hopefuls Nottingham Forest at The Hawthorns. Forest had a deserved half-time lead when a miscued Ryan Yates strike was unluckily deflected into his own net by Stefan Johansen. 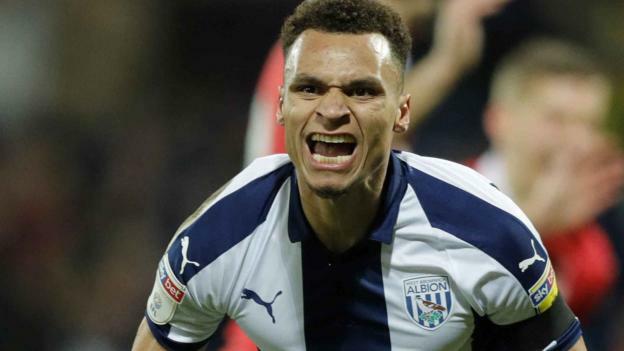 But a much-improved home side upped the tempo after the interval and, after Rekeem Harper’s sublime volley hit the bar, Jacob Murphy’s first Baggies goal made it 1-1 following an almighty goalmouth scramble. Ryan Yates appeared to have won all three points when he struck home after good work by Lewis Grabban. But after Dwight Gayle was harshly adjudged to have been felled in the box, Rodriguez levelled with a calmly taken spot-kick.